. . I do need insurance.’ He signed up forthwith for five thousand dollars. “I suppose you might call that opportunity a ‘hunch.’ I had no introduction to the man, no personal link of any kind. It was a cold call, and it won. But the phrase probably goes even further back. Once again, the same reference above states that it dates back to the 1800’s. So, the principle of selling to other than warm prospects and customers has been around for longer than we thought. It’s logical really when you consider that since the dawn of trading, people have had to sell things to others. And, many of those people had not previously known of the availability of those products and services. Clearly, early traders transported and hawked their wares from place to place in search of new customers. Door-to-door selling, probably as cold as it gets, was common and gained popularity in the 70’s. And, telephone cold-calling has mostly been with us since the eighties. Increasing legislation such and The Data Protection Act 1998 (and its subsequent iterations including the new GDPR in May 2018) and The Consumer Contracts (formerly Distance Selling) regulations. As a consequence of some of the abuses, authorities have become stricter especially when it comes to consumer calls. There are now substantial fines for those companies or individuals that seek to flout the law. It is illegal to cold call any individual that has either told the unsolicited caller to stop or registered their direct line with one of the preference services above. So, both technology and restrictions have made it harder to cut through if you’re a company that wants to use the phone to promote its business. We’ve also seen the advent of ‘newer’ forms of marketing including but not limited to email marketing and social media. These have, to some extent, taken the focus away from cold calling as a means of marketing. It’s fair to say though that the term cold calling has become synonymous with any form of telephone marketing. That’s probably unfair since there are many ways that the telephone can be used for marketing to great effect. And, it goes without saying that, if you can make a warm call as opposed to a cold one, it makes more sense to do so. Check out our blog on 10 ways to use telemarketing to grow your business. Not every sales call is cold and not every cold call is a nuisance. Some calls are directed at consumers and some at businesses. Equally, not every call is for direct selling or telesales purposes where the caller is trying to close a sale over the telephone. The impression is that they’re trying to shoehorn the customer into buying something they don’t need. A large proportion of outbound b2b calls are an exercise to profile a customer target database in order to undertake appointment setting and sales lead generation. This is where an opportunity is unearthed for more qualified members of the sales team to follow up for a more in-depth conversation. Likewise, not every caller is untrained and not all calls are scripted. Many of us have experienced poor quality, overly scripted calls often from offshore call centres. But, not all calls are like this. Companies like GSA strictly follow the guidelines laid down by legislation and best practice. Many calls are unscripted and conversational in nature and engage the prospective customer as opposed to alienating them from the outset. Unfortunately, cold calling has, to a great extent, become a generic term which is a shame since it carries with it a negative connotation that is not always warranted. 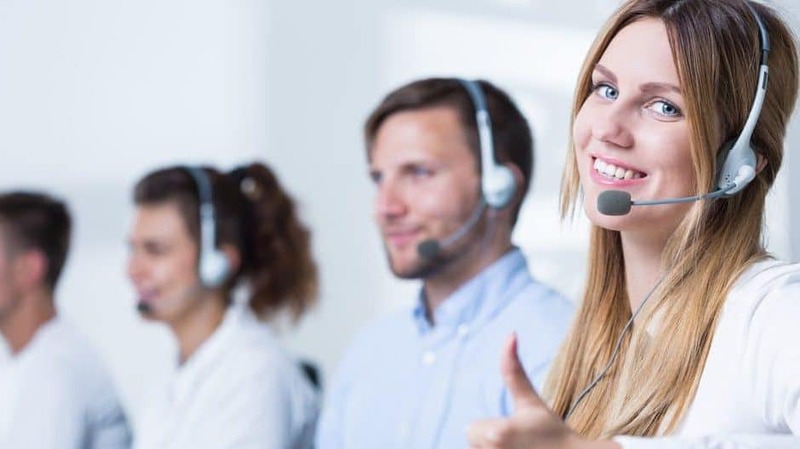 From a commercial perspective, the big benefit of the use of telemarketing (as we prefer to call it) is that it is a proactive route to market. You don’t have to wait for prospects to come to you. Some of the largest companies in the world recognise that telephone marketing is a valid and effective way to market their products and services. They use this method of marketing to supplement other marketing tools and to amplify their success. Outbound telephone calling and follow-up is infinitely preferable to leaving things to chance. Carried out appropriately, it can generate significant numbers of sales opportunities and enhance brand image for those that deploy it properly.